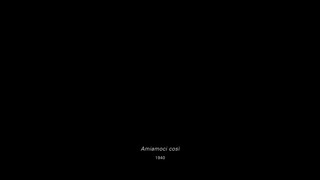 On a black background projected onto a wall, the titles and production years of old films faintly appear and disappear. The titles appear at first like a simple enumeration, yet faint connections of poetic meaning emerge. These titles are films once publicly screened but now lost—a record of which remain in magazines and posters but whose actual motion picture films have been lost. Surprisingly, it is said that the whereabouts of 95% of early Japanese films shown until the 1930s are unknown. 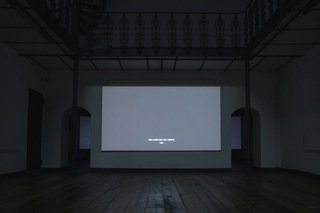 Initially, when viewing a list of lost films for the production of this work, Hirakawa noticed that their titles came together to form poetic sequences of words. Selecting word sequences and rearranging them, Hirakawa has completed what can be called a poem, if somewhat fragmental. The poem, in a sense, gives ‘voice’ to the lost films in the course of long history of filmmaking.